So send I you — to know my love alone. So send I you — to lose your life in mine. This hymn, So Send I You, has been called the greatest missionary hymn of the twentieth century. A lonely and scared young teacher wrote it as she contemplated her isolation — a loneliness that pervaded her heart and soul. 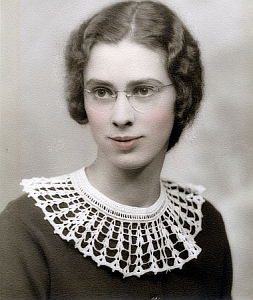 Margaret Clarkson experienced loneliness of every kind — mental, cultural, and spiritual — as she began teaching at a logging camp during the depths of The Great Depression in northern Ontario, Canada. She wrote these words of pain and suffering. However years later she would see the “one-sidedness” of this hymn and compose a newer version — one that reflected her growth and rest in Christ.